There isn’t just one Finish Nailer that’s perfect for everyone. What works best for you will depend on your project, working surface, the type and amount of nailing you do and budget. Ideally you will be matching what finish nailer do and what you are intend to do with it to find what is best for you. Finish nailer work best for project like Installing baseboard, door and window casing, large crown molding, door frames, Interior carpentry – cabinets, paneling, caskets, chair rails, wooden furniture, and fastening large decorative trim. 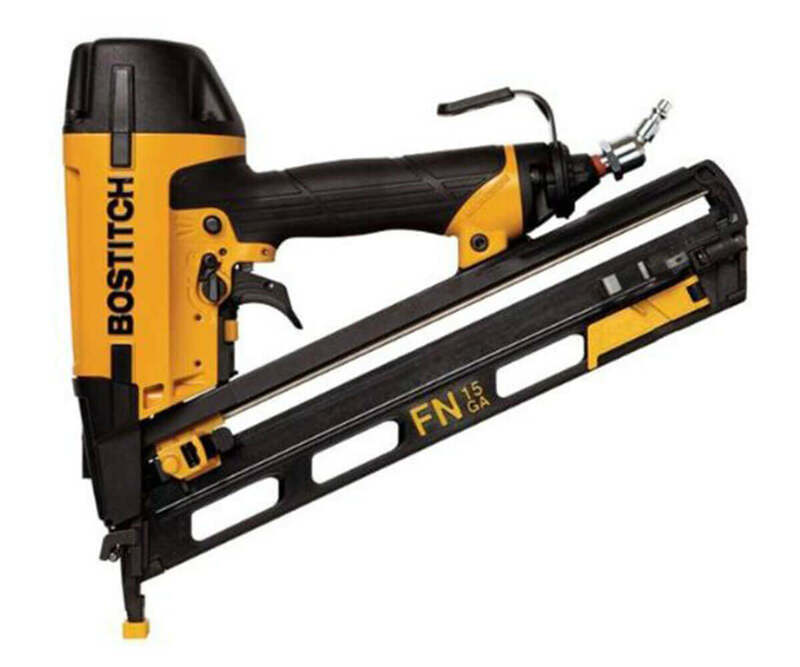 Task performed by finish nailer will give you a good idea on how finish nailer can be used. If you are involved in a similar project than you are in right place. However a lot of other thing you need to consider before you can buy your finish nailer. Our Finish nailer buying guide will provide you all big and small thing, tips and tricks to choose best finish nailer. You can also explore our recommendation for best finish nailer of 2018 and even learn more from our detailed finish nailer reviews. Finish nailers are most commonly used in trim carpentry along with brad and pin nailer. 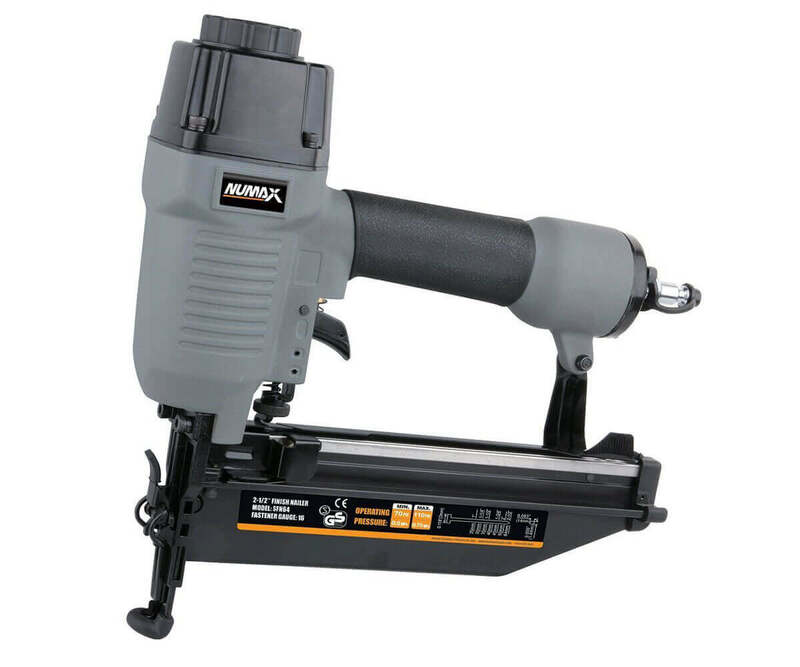 Professional carpenters employ full range of 15, 16, 18 and 23-gauge trim nailer for achieving fine finish. But for homeowner and DIYer will be looking for one tool that can be used for virtually every trimming task on hand. 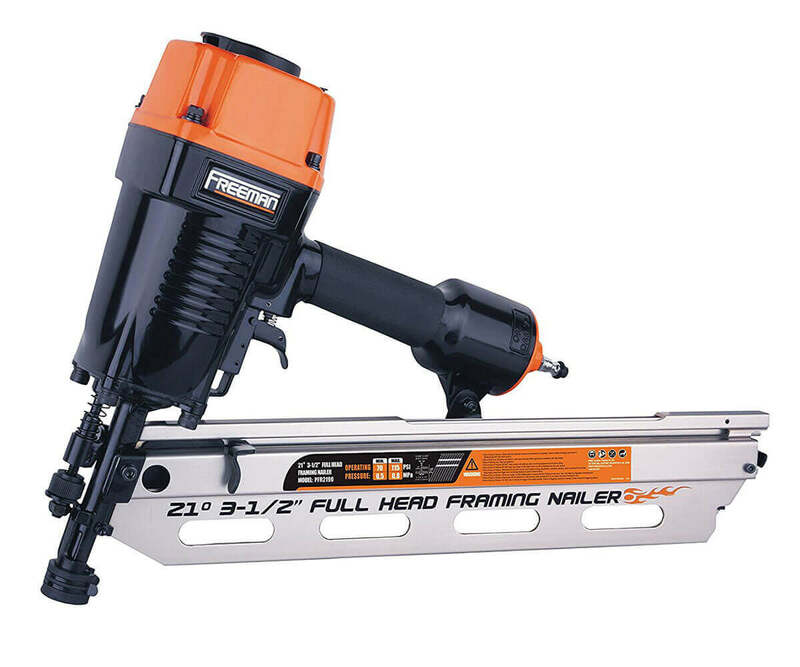 Finish nailer are commonly available in 15 and 16-gauge variations. There are some feature commonly found in most finish nailer and some design and build quality features unique to few finish nailer kit that make them best finish nailer. We have sorted all those design, build features and specification for you. Finish nailer kits available in market mostly corded pneumatic, battery and gas powered cordless finish nailer. Good news is over the year finish nailer capacity, build quality, features and price changed a lot and there are tons of finish nailers available in the market to choose from that suits your preferences and budget. 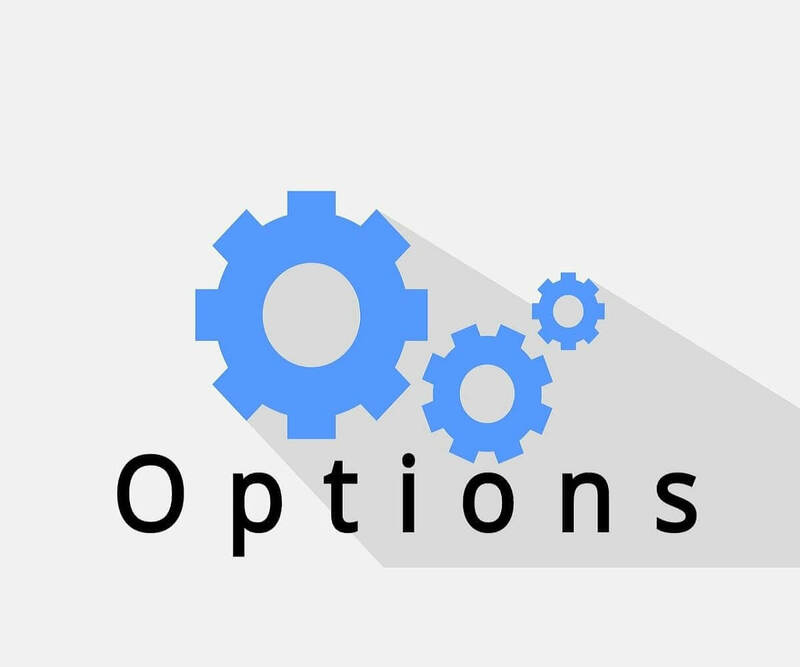 It’s better to have lot of options for you but it also make you confused which one is best. We suggest you to narrow down your shortlist by answering few question. First you need to decide how to use your finish nailer in terms of your project on hand and future usage. Most of the best finish nailer are pneumatic and mostly used by professionals. While pneumatic nailer are least expensive and easy to use that rely on air compressor for its nailing power which you need to buy separately. 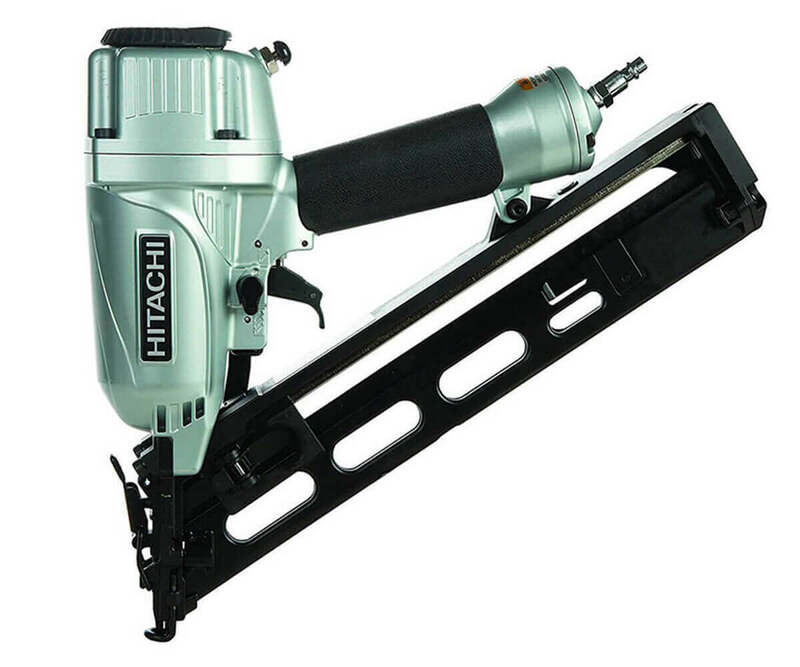 The other best option is battery powered finish nailer that gained popularity lately due to their mobility, less maintenance and more suitable for home and DIYer. Downside is they are heavy and expensive and usage is limited to battery charge. You may also look for gas powered and electric powered finish nailer, they are least popular and not easy to get. You can always learn more about power source required for nail gun from our Nail Gun Buying Guide and Recommendations. Once you deiced on finish nailer power source you just need answer for next two questions. This easily noticeable design feature can make huge differences in finish nailer performance may not seem important to untrained eye. The term straight and angled refer to angle of finish nailer magazine. Understanding the difference between straight and angled finish nailer will further help you to find right finish nailer for you. One particular problem persist with all type of nail gun is you just cannot rely one nail gun to do all job. If you are curious why there is straight and angled finish nailer in first place than we have your attention and may shed some light on that. Ability to reach into tight spaces is the most prominent difference of working with straight and finish nailer. Angled design of the magazine let you reach tight spot with any difficulties and also extended nose further help to reach into tight spaces. 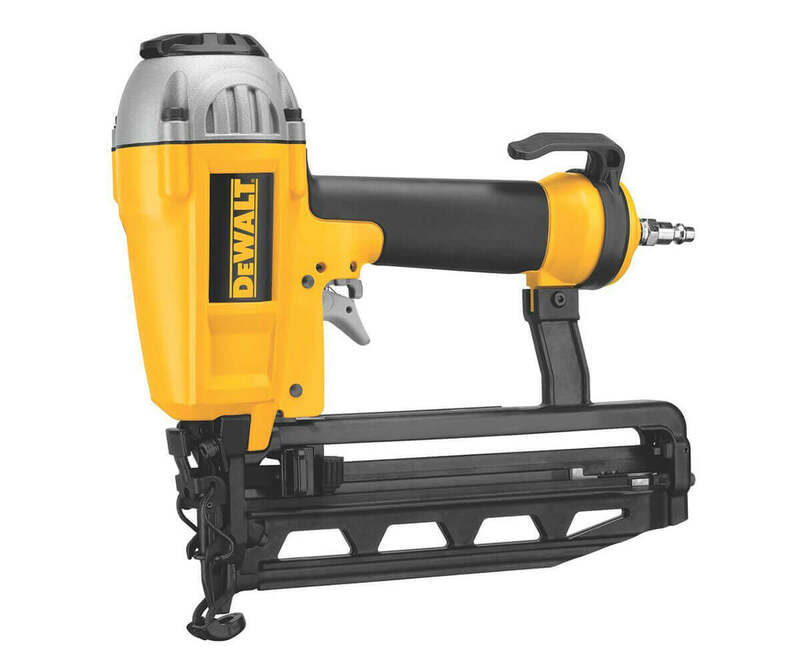 If your project will run into lot of tight spot and hard to reach corners than you certainly can go for an angled finish nailer. Straight finish nailer cumbersome magazine can make your work more difficult and sometime impossible. Type of nail used in straight and angled finish nailer and nail gauge will definitely influence your finish nailer buying decision as it directly affect nailing performance. Straight finish nailer accept T-shaped nail head and D-shaped nail head is commonly used in angled finish nailer. In terms of nail gauge straight finish nailer capable of shooting thinner 16-Gauge nail that go deep into woodwork without the risk of splitting wood along its grain required in delicate trimming and finish job. Whereas much thicker, stronger 15-Gauge nail used in angled finish nailer ideal for finishing work that require more holding power. Finally angled design help accurate positioning and firing of nail, easy nail replacement and light construction make them perfect choice but all this come at high price. On the contrary straight nailers are bulky and cheap however lacks in accuracy and agility found in angled finish nailers. You probably got some idea about 15-guage and 16-gauge nailer from our discussion in straight vs angled finish nailer. Let us add some more detail on that to help in finding best finish nailer. Finish nailer gauge actually measure the diameter of finish nail like an electrical wire. Thicker nail represented by lower gauge number and higher gauge number for thinner nail. So how does it affect your choice of finish nailer? These two tool fire nails up to 2-1/2 inches in finish or trimming surface, best for interior carpentry and both can be used for installing crown molding, cove molding, baseboard, chair rail, door and window casing, door frames, and more. Large diameter of 15-gauge nail will give great strength and holding power but will create big hole on your working surface that may not look pretty. Instead you will be looking 16-gauge for great finish with less holding strength. Also note that 15 and 16-gauge magazine are not compatible. Most finish carpenter probably own 15 and 16-gauge finish nailer. But overlapping application of these two tool will give hard time to home owner and DIYer who is looking for one tool to perform multiple job. We suggest 16-gauge for home owner and first time buyer as it can be used in both small and big project. We believe you have narrowed down your list for finish nailer after reading previous section. It’s time to wrap-up your search for finish nailer. We found some features and specifications of best finish nailer that are essential for best performance, flexibility and durability. Considering these features while choosing the best finish nailer will give you best value for money. Most finish nailer fire 2-1/2 inch nail into woodworks and depth of drive adjustment allows you drive nail at desired depth. Without depth adjustment pushing nail too hard may split work surface or fail to achieve enough holding strength while pushing nail softly. Finish nailer may have a depth adjustment dial or predefined depth setting depending on model. By adjusting the depth you can leave the nails flush, protruding, sink and countersink. Make sure your finish nailer has a depth adjustment feature. This safety feature stop nailer from firing when it is empty thus prevent misfiring and accidents. Best finish nailer are designed to stop working when there are few nails left in the magazine so that you know it’s time to reload. In some model you will find low nail indicator. Power tool companies nowadays creating air tool with great user friendly features. Adjustable exhaust is one of them. With adjustable exhaust you can direct air coming from your nailer away from your body. When working in a dusty area it keeps dust and debris away from tool operator. Another user friendly feature that allows operator to switch between two firing method. With selectable trigger you can switch from sequential to contact firing mode just pressing a single button. Some model may require trigger to be removed and replaced with another trigger for mode change. Whereas driving single nail in work surface depend on firing method. It is also important safety feature that involve two controls- a trigger and safety contact tip working in sequence to fire single nail. Contact or bump fire mode is commonly used by professionals for fast nailing. However it may not be suitable for first time user due to risk of misfire and possible nail gun injury. Good news is best finish nailer now available in the market mostly build with contact and sequential firing mode. You will see there is direct relationship between power tool product price and product warranty you get against that purchase. Usually most expensive one tend to provide warranty with longer duration and cheap one vice versa. Best wat to find about the product you chose is read customer review, what other customer saying about its warranty and service. Apart from warranty and after sales service best brands in finish nailer offer carrying case, oil, hex and Alan wrench, extra no mar tip and more. This add on not only sweeten the deal but also help customer in nailer maintenance. maller project, then regular ones would do justice to you. What nail size do I choose for my finish nailer? – A good rule of thumb is your fastener or nail should twice as long as what you are going through (thickness of work surface).